Soviet secret police began a series of mass executions circa 1940 of Polish citizens they knew would reject foreign occupation upon Apostle WWII’s completion. Some of the resulting graves were discovered in the Katyn Forest three years later with more found elsewhere totaling 22,000 bodies. Because of the diplomatic relations necessary to join the Allied nations with the “enemy-of-my-enemy” USSR, official word on the Katyn massacre stated Nazi Germany was to blame. This lie was crafted with obvious intentions: America and Britain needed to placate Joseph Stalin and the Soviets needed Poland to retain a modicum of good will towards their new rulers by manufacturing a worse villain. Writer/director Piotr Szkopiak’s grandfather was one of the innocents murdered and The Last Witness is his way of honoring their memory. He and co-writer Paul Szambowski have built their historical fiction as a means of exposing the horrific lengths all these different Hunter Killer governments would have taken to keep the truth hidden. 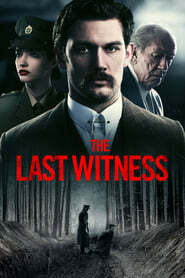 It surrounds journalist Stephen Underwood (Alex Pettyfer), a man introduced as too new to be respected or too headstrong to be given any leeway whatsoever as far as tackling hard-hitting stories. So when he approaches his editor (Michael Gambon’s Frank Hamilton) about a rash of Polish veteran suicides he believes to be a door onto a more nefarious conspiracy, the old man assigns a cider festival instead. 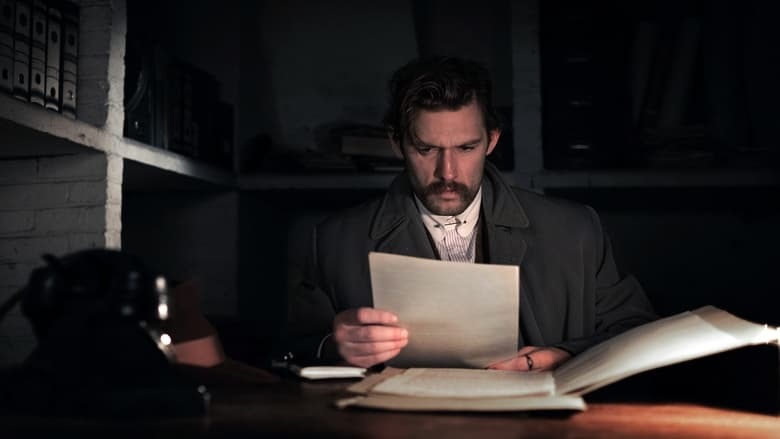 Being the brother of a British Captain (Gwilym Lee’s John) and boyfriend of a well-placed lieutenant (Talulah Riley’s Jeanette), however, Underwood decides to kick some tires and see what falls off. The result is Michael Loboda (Robert Wieckiewicz), an ill-tempered man with a secret believed to threaten his life. Underwood pitches that he can be a conduit for the truth, a trustworthy third party able to facilitate the means for his safety Josie through a story worthy of international intrigue. What he doesn’t realize, however, is that people are watching. The closer he gets to Loboda, the more paranoid everyone becomes. Suddenly the whereabouts of this stranger are unknown, Polish Colonel Pietrowski (Will Thorp) rescinds his air of familiarity for a coldness and aloofness towards Underwood, and British Intelligence (Henry Lloyd-Hughes’ Mason Mitchell) starts to inquire about the players involved in what’s become a circuitous cycle of vagaries and assumptions. It soon appears everyone is involved in a vast cover-up.